SHIMAZU Hisamitsu plans to take up arms and goes to Kyoto. However Kichinosuke tells him it's hard for him as he has no comrades. It makes him become angry. Kichinosuke leads a party and arrives in Shimonoseki. 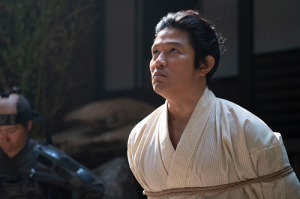 There he learns that a merchant called SHRAISHI Shōichirō entrusted his brother Shingo with the money worth 300 ryo and then he went to Kyoto. 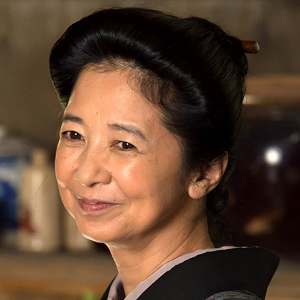 Kichinosuke hurries to Kyoto and finds Shingo in a geisha house with a geisha called O-Yū. Shingo joins a radical party led by ARIMA Shinshichi. 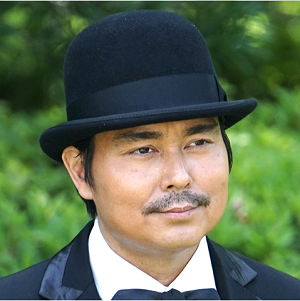 Kichinosuke scolds his brother but he says that he will leave Satsuma domain. And it’s decided that Kichinosuke will be exiled to Okinoerabujima Island because he ignored Hisamitsu's order and left Shimonoseki. But KOMATSU Tatewaki advises Hisamitsu if he is a man of parts, he should manage Kichinosuke. Just before being exiled to Okinoerabujima Island, Kichinocuke lerans that some of the Satsuma samurais includes Shinshichi were killed in Teradaya though Shingo survived. He arrives at the island and lives in an outdoor jail but one night a storm hit there. He is saved from death thanks to TSUCHIMOCHI Tsuru and her son Masateru. And then he is permitted to return to Satsuma. After returning to Satsuma, he goes to Kyoto where Hisamitsu, HITOTSUBASHI Yoshinobu and other daimyos of major domains gather to argue the politics. But their negotiwtions fail. Kichinosuke and MURATA Shinpachi who accompanies him are surprised with ŌKUBO Ichizō who moves tatami round to patch things at the moment. After that Kichinosuke get to know IWAKURA Tomomi, SAKAMOTO Ryōma, KATSU Kaishū and KATSURA Kogorō. Kogorō worries the situation of his domain Chōshū and hopes to meet Yoshinobu. 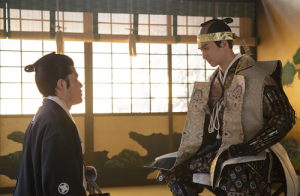 Kichinosuke introduces him to Yoshinobu who accepts Kogorō's wishes to ask the Emperor to permit Chōshū. But Kichinosuke cannot trust Yoshinobu who is inconsistent and Yoshinobu himself becomes to trust nobody. Besides some radical Chōshū samurais who try to regain the influence once lost become agitated. 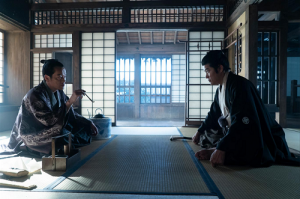 They who are provoked by the Ikedaya Incident and Yoshinobu who is on behalf of shogun orders some domains to make their samurais come to Kyoto to fight against Chōshū samurais. The Kinmon Incident occurs and Satsuma domain samurais confront those from Chōshū domain. KAWAJI Toshiyoshi, a samurai of Satsuma domain shoots KIJIMA Matabei who leads a troop from Chōshū domain to death. Kichinosuke is wounded in the leg and a fire spreads. Later he meets Kaishū in Osaka and is told to overthrow the shogunate though he serves the shogunate directly. 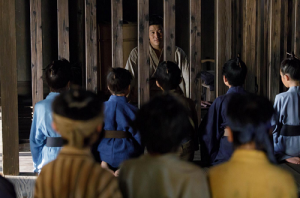 Because of the Kinmon Incident, the shogunate decides to subjugate Chōshū and Kichinosuke who is an officer of the army goes to Chōshū and makes peace with Chōshū domain and sends back Chōshū samurais who are wounded. But Yoshinobu is dissatisfied with what he did. 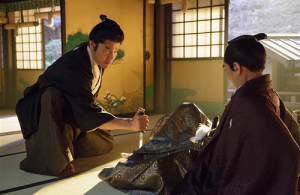 Kichinosuke who is told to commit hara-kiri by Yoshinobu holds a dagger that was given by Nariakira. He says it's the one that killed the man who tried to assassinate Yoshinobu and stabs it into tatami in front of Yoshinobu. Their relationship breaks. (*) Though the word "kakumei" means revolution in Japanese, it means the Meiji Restoration in this case.